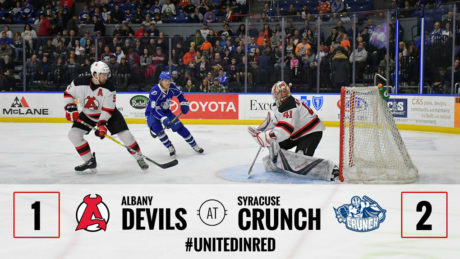 The Devils fell 3-2 to the Crunch Saturday. 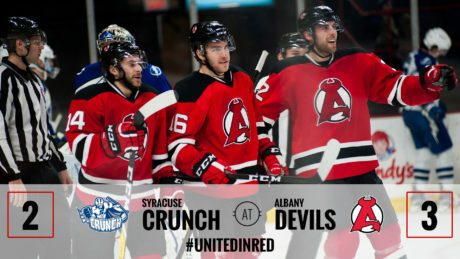 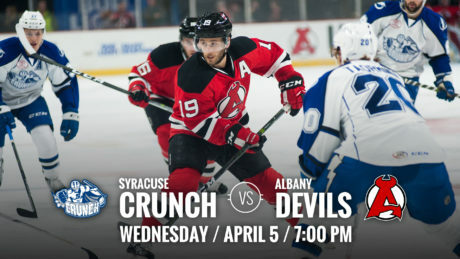 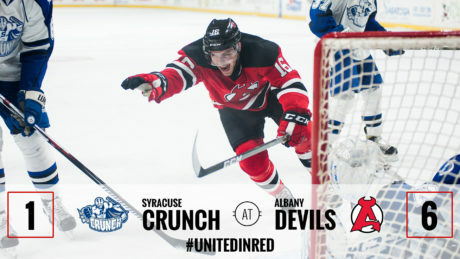 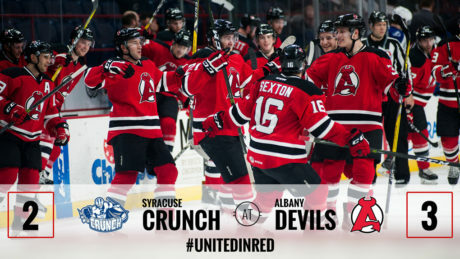 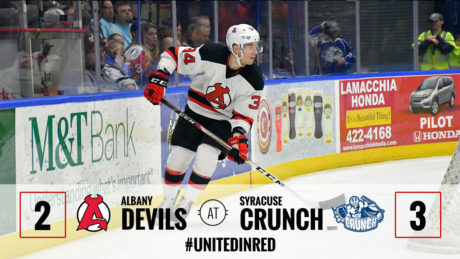 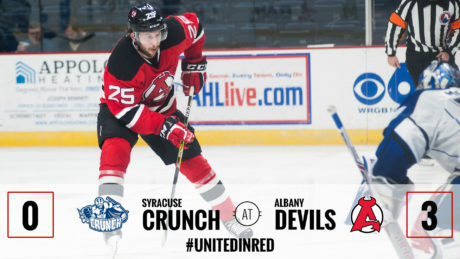 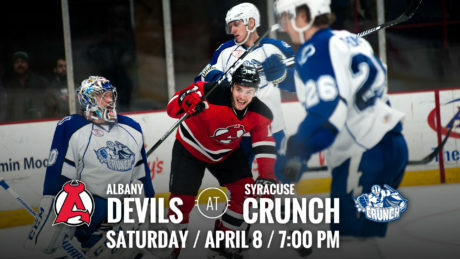 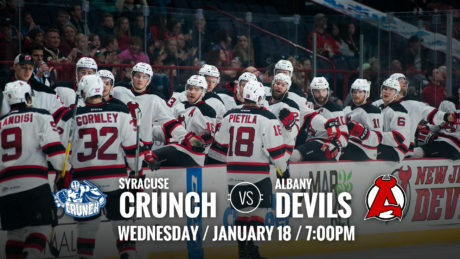 The Devils and Crunch match up Wednesday for a 7 pm puck drop. 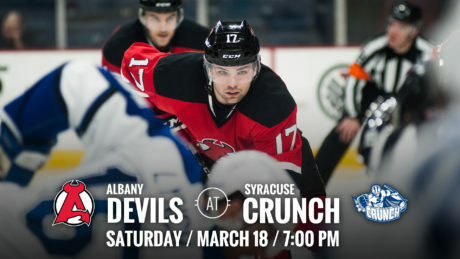 The top two teams in the North Division face off Saturday as the Devils travel to take on the Crunch for a 7 pm puck drop. 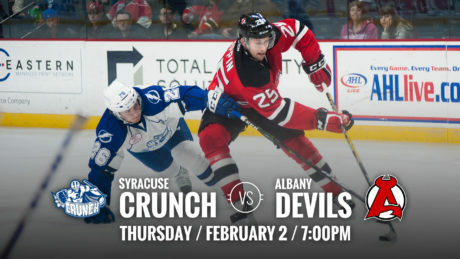 The Devils took down the first place team in the North Division, the Crunch, with a 3-2 win Thursday. 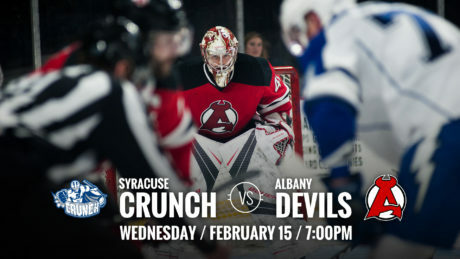 The Devils defeated the Crunch 3-2 in overtime Wednesday.